The holy month of fasting brings forth a reason to gather and spend time with family and friends and break fast together. 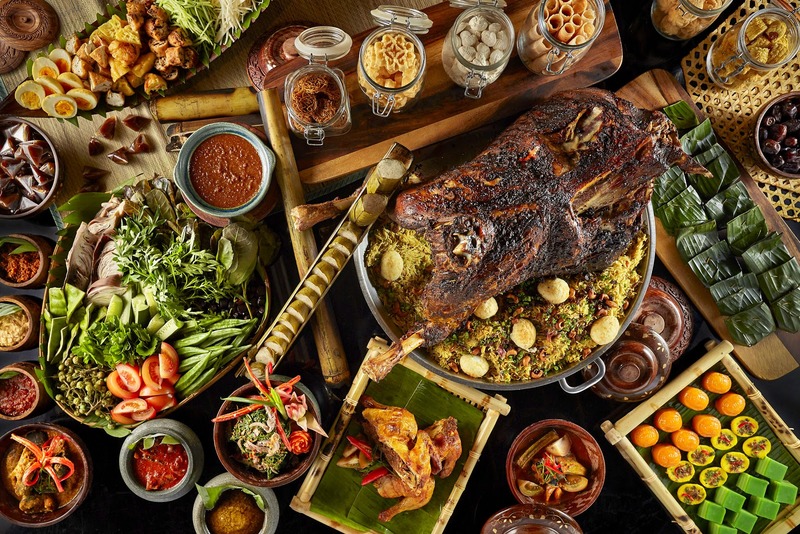 This year, The Westin Kuala Lumpur is presenting a Juadah Iftar Kampung buffet at The Living Room filled with a myriad spread of kampung favorites as well as international ones. 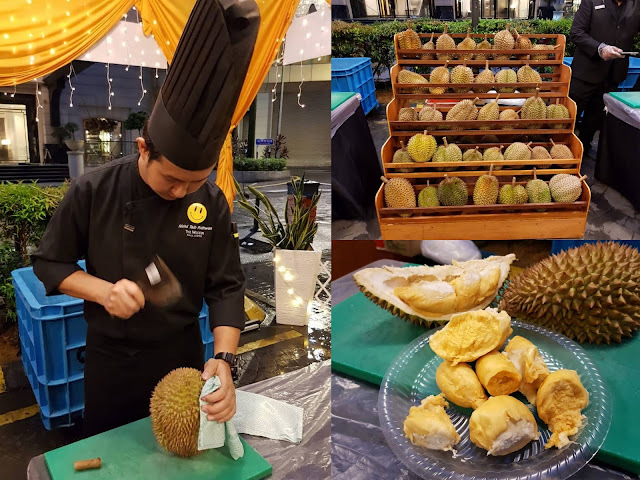 Available from 19 May to 12 June, the Juadah Iftar Kampung buffet comes with an additional option of an All-You-Can-Eat Durian feast. 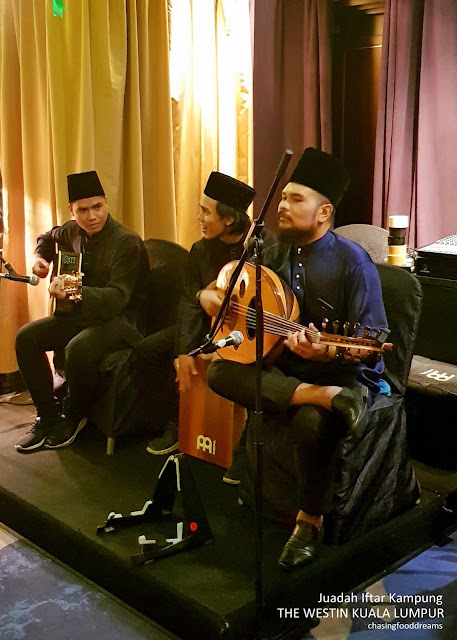 Diners, who prefer to savor only the All-You-Can-Eat Durian feast without the Juadah Iftar Kampung Buffet, can also opt for this option on its own. 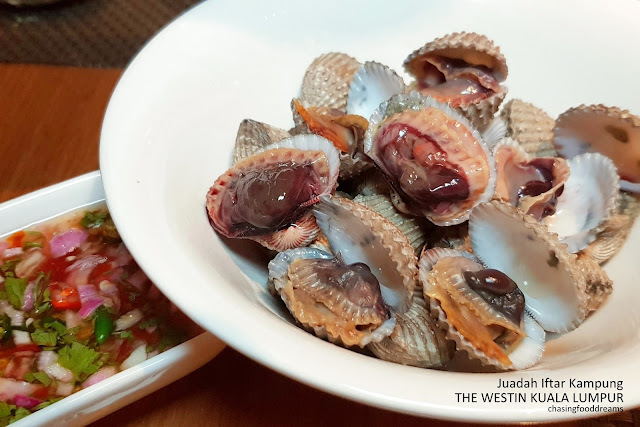 The Living Room is setup with a journey of flavours as diners can explore their way through a big spread of freshly prepared dishes as well as visit live action stations serving made-to-order dishes. 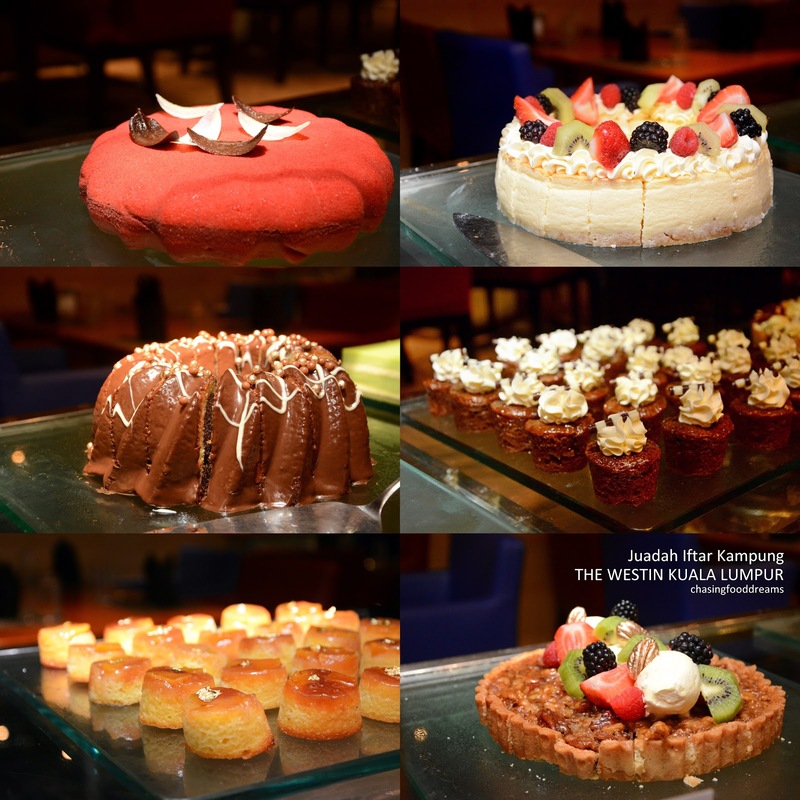 There is also a room filled with lots of desserts so make sure to save some tummy room for this. With every Iftar buffet, the highlight of the spread is the Roasted Whole Lamb. Marinated with various spices, savor the tender lamb slices with fluffy briyani rice with egg. There is also a beautiful Roasted Beef Ribs with BBQ sauce and roasted vegetables that is a must-try! 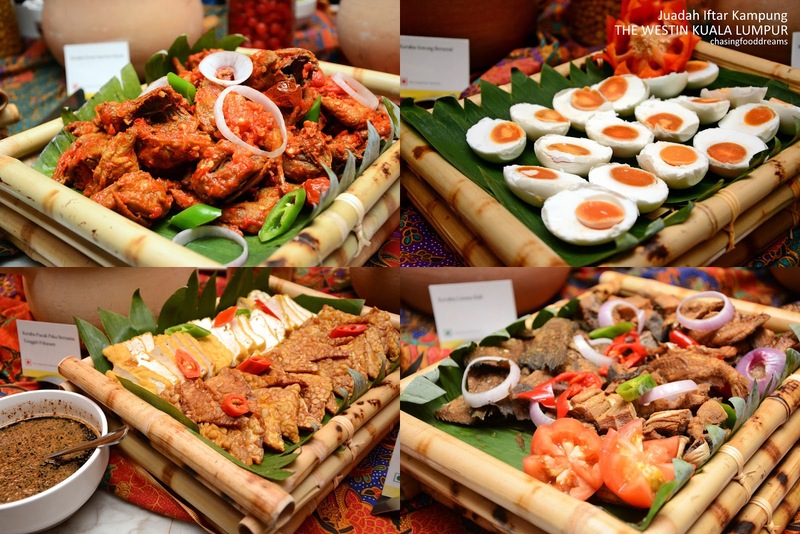 On the carving station, there is Roasted Chicken and Baked Fish Fillet as well. A kaleidoscope of Ulams and Sambals are set along with various Kerabu salads as well as Telur Masin, Ikan Masin and Burung Puyuh Berlado to whet the appetite with robust and spicy flavours. 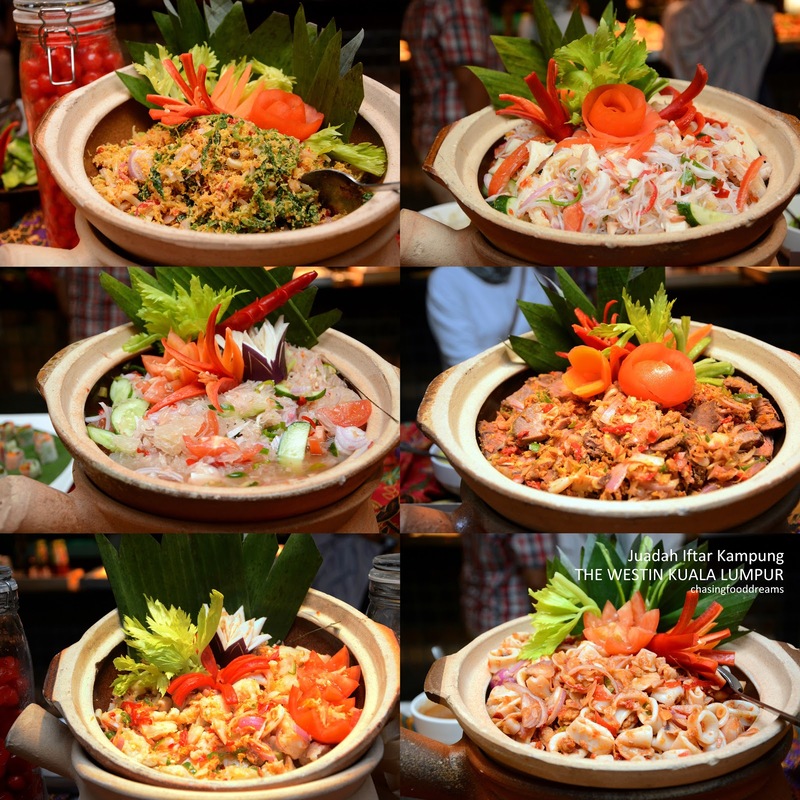 Assorted Kerabu on daily rotation such as Kerabu Sotong Berserai, Kerabu Perut Dan Soo Hoon, Kerabu Limau Bali, Ikan Bilis Petai and Kerabu Daging Salai. 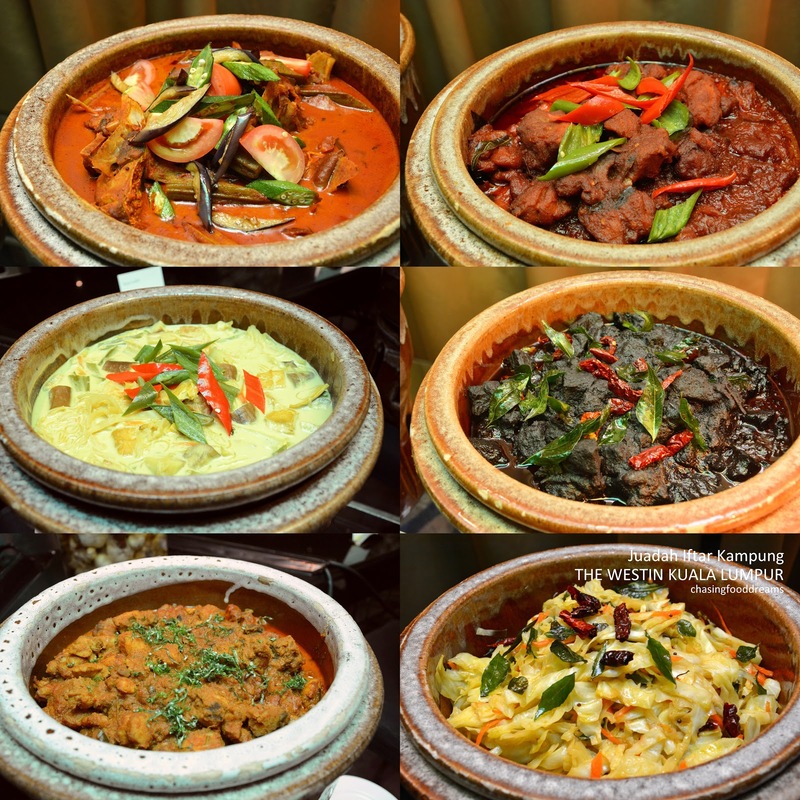 Other main highlight of the buffet is the row of huge kawahs filled with classic kampung dishes like Kupang Berlada, Gulai Keting Kambing Keluak, Ayam Sambal Hijau, Kari Daging Tetel, Labu Pucuk Manis Lemak Putih, Kacang Panjang Goreng Kunyit, Uddang Sambal Petai and Ketam Masak Lemak Nenas. There is a whole live action station dedicated to Claypot Asam Pedas that one should not miss. Select your choices of meat and seafood to be cook with your choices of Asam Pedas Nyonya, Asam Pedas Johor and Asam Pedas Tempoyak gravy! Street food is another must savor delight at Juadah Iftar Kampung buffet. 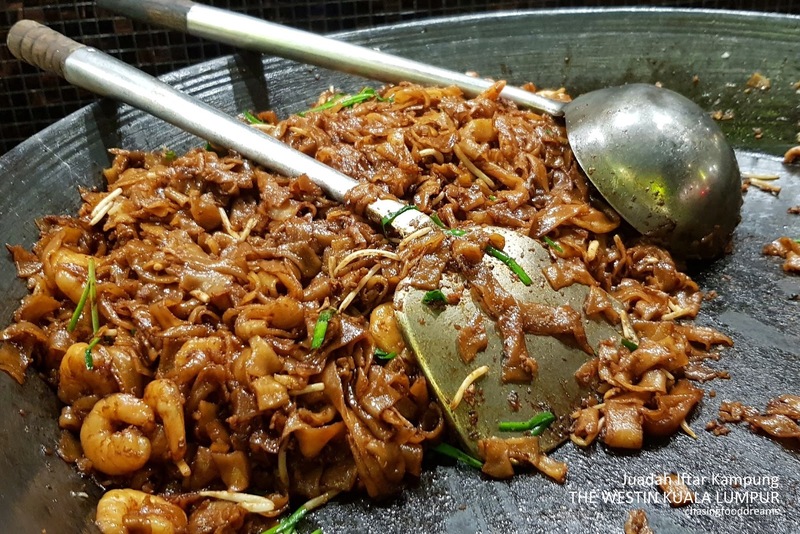 From freshly made Roti Canai, Murtabak, Roti Boom, Roti Telur, Burger, Roti John to Yong Tau Fu, Kerang Rebus Chili Sauce, Chicken Rice and Char Kway Teow, choosing there to try is quite difficult one as they all looked deliciously tempting at sight. There is also Nasi Air Berlauk,, Curry Laksa and Mee Celup at the noodle station where one can pick your own ingredients. 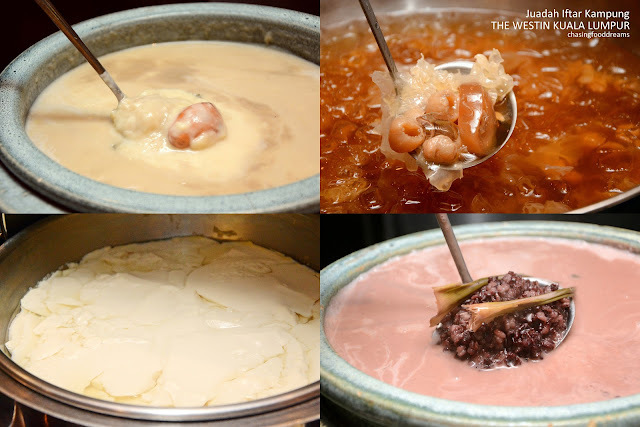 Hot warmers filled with steamy hot Lemang, Ketupat, Pulut Hitam Lemang, Roti Jala and Nasi Impit are to be savored with Ayam Rendang, Kari Kepala Ikan, Beef Kandar, Ayam Madu, Sayur Lodeh, Satay and Bubur Lambuk. Time for desserts… and the spread is substantially sweet and colorful. Fresh local fruits to Chocolate Fountain, Frozen Yoghurt Soft Serve Ice Cream, Ice Cream, Ais Krim Potong, Tau Fu Fah, Bread & Butter Pudding, Honey Sea Coconut with Longan, Pengat Durian and Bubur Pulut Hitam are among the list of desserts to savor. There is also local Kuih Muih, Cookies, Jellies, Buah Kurma, Kek Lapis and a whole lot of other international cakes, pastries and desserts available. 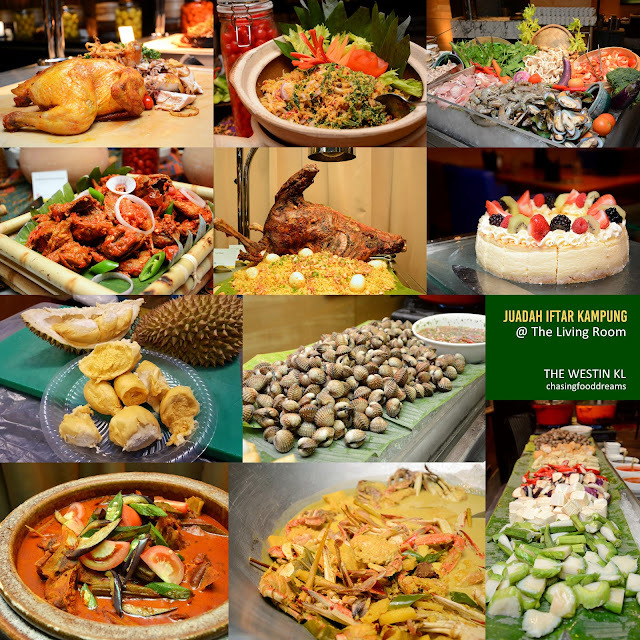 For dining reservations, please contact Westin Dining at 603.2773.8338 or log on to www.thewestinkualalumpur.com for more information.